Coleman Connor in Martin McDonagh's The Lonesome West; "Bottle top" Joseph Flaherty in the London Premier of Martin Casella's The Irish Curse; Don Pedro in Much Ado About Nothing; Franklin in Arden of Faversham of which The Stage wrote: "a remarkably sympathetic performance, full of pathos and warmth". The Laramie Project Francis playing 14 different characters; and 2012 his debut in a musical She Loves Me. World Premiers: Alan in Lewis Hetherington's Bodies Unfinished; Royall in Summer by Julia Stubbs Hughes; Brian in The 8th Wave by James Earnest. 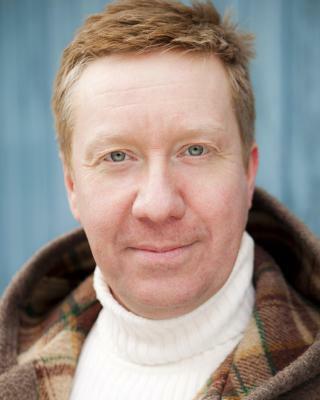 Film and TV credits include Banged Up Abroad (National Geographic); Mr Hughes in the award winning film Washdays (Simon Neal) Mr Hunt in 'Meet the Adebanjos' and Detective Policeman in The Cases of Detective Policeman - for which he won best actor award at the 2010 Landcrab Film Festival. A versatile voice actor with expertise in playing American, Irish, Scottish and Australian characters.